In April 2013, Flunk - often referred to as 'Norway's best kept secret- are back with their fifth studio album, 'Lost Causes'. 'Queen Of The Undergorund' is the opening track and first single off the album. 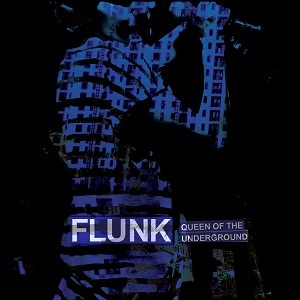 The song is probably the first Flunk recording actually played live before being recorded, it was first played on the band's China tour last autumn. It is also vocalist Anja's debut on guitar, and introducing long time live drummer, Erik Ruud, as a full member of the band. The studio recording reflects the live version of the song, and this will be typical of most of the tracks on the forthcoming album. All tracks have developed via band rehearsals, which is a totally new approach to new songs for the band. The album is for the first time being mixed by someone outside the band, Kai Christoffersen at Calmeyer Studio. This is also a change of approach, and will certainly create a new sound. 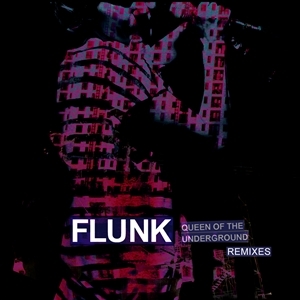 The new single by Flunk has been given the remix treatment from three good friends: Athome Project has done a funky indie-dance-ish re-take. Syntax Erik brings the track to the sweaty dance floor with his minimalistic and sparse tech-house-ish version, while Kohib turns it to a darker dubby spot.